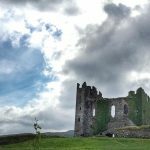 This one-day Ring of Kerry itinerary is based off our unique experience traveling Ireland with three of our friends. 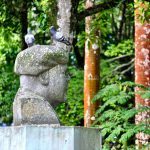 We did a lot of research beforehand and had our plan ready to go, but we also discovered some other exciting spots along the way! If you can spend more than a day on the ROK, we’d highly recommend it. 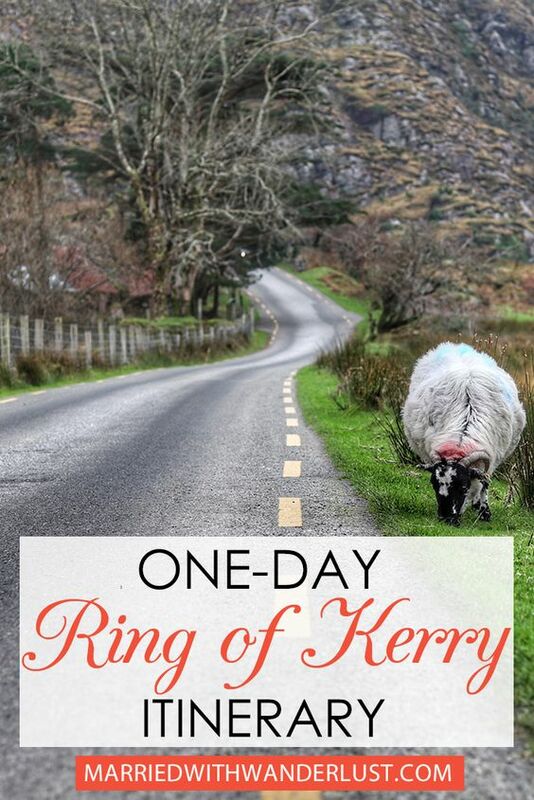 But if your schedule is tight, this Ring of Kerry itinerary will allow you to see the best the Ring has to offer in just one day! TIP: We would definitely suggest getting GPS with your rental car- many of these stops will be searchable in the navigation. Traveling the narrow roads and driving on the left side will be much easier if you also don’t need to rely on a map! 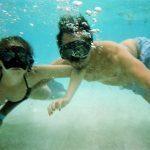 RESOURCE: This Ring of Kerry website is also super helpful and you can find other attractions that you might like to add to your itinerary. We had more we would have liked to see, but only had time for what is below! We stayed the night before the drive in Killarney at the Randles Court Hotel and really enjoyed it there. The hotel also has a continental breakfast, so you can fill up before your long day on the Ring of Kerry. We departed the hotel around 8:00am heading counter-clockwise around the ROK. TIP: You will read differing opinions on whether to go counter-clockwise (same direction as the tour buses) or clockwise so that you’re not on the same track as the buses. Personally, we didn’t want to be driving against the tour buses, so we decided to go counter-clockwise but hit the road a little earlier than the buses. Also, we chose some off-the-beaten path destinations the tour buses can’t get to. I don’t know if it was our planning or just luck, but we never ended up at a point of interest at the same time as a tour bus. We’d recommend a full day in Killarney either the day before or the day after the ROK, and that way you’ll have plenty of time to see Killarney National Park, Torc Waterfall, and downtown Killarney without cramming them into your ROK drive. 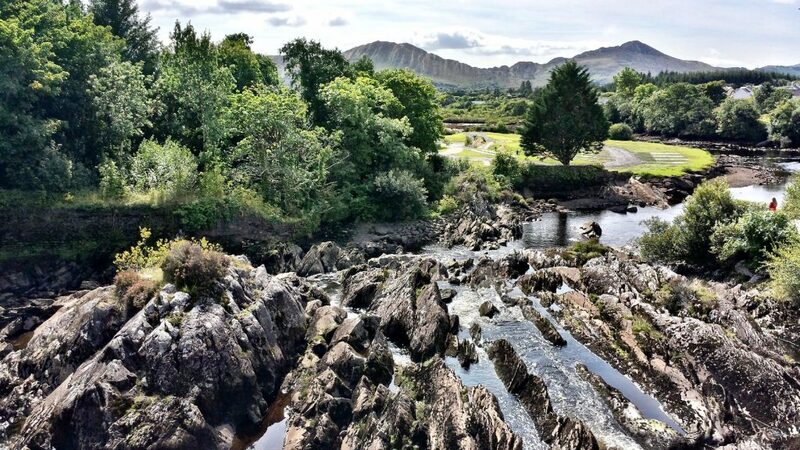 Killarney was personally my favorite town in Ireland and we would love to go back! 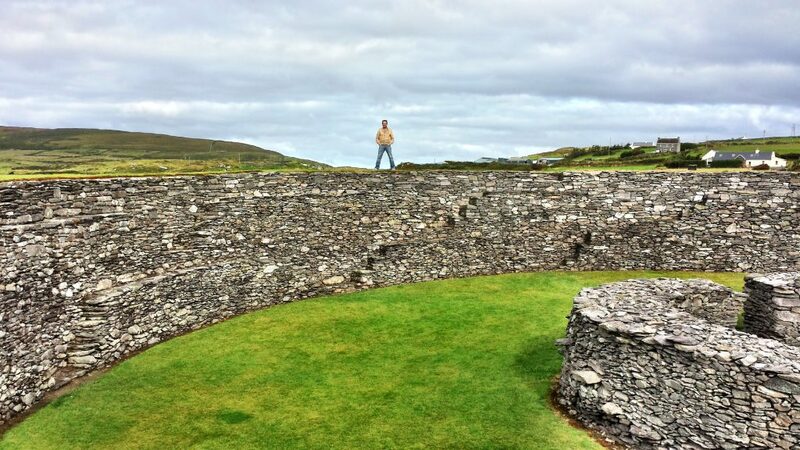 Cahergall Stone Fort is one of the most impressive of the stone forts on the ROK. Stone forts are believed to have served as protection for farmsteads. 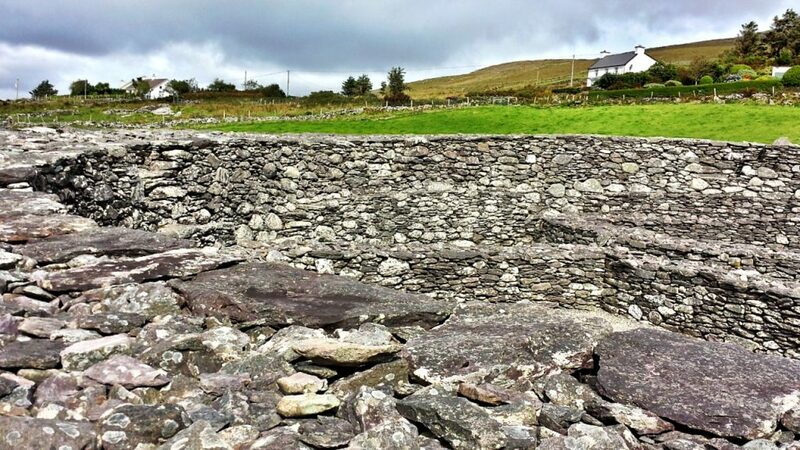 Visitors can walk up the stone stairways inside Cahergall Stone Fort to access the top of the structure. It was reconstructed and is in very good shape. This wasn’t on my original itinerary, but it was definitely the best “find” of our entire Ireland trip. Ballycarbery is the most charming of all the castles we saw in Ireland, and since it is a little off-the-beaten path, there are hardly any tourists there! This castle has even made a CNN list of amazing abandoned castles around the world! TIP: I’ve read that there is a gate that is now shut at times cutting off access to the public, but when we visited it was not off limits. We were able to walk through the castle and see the beautiful ruins up close and personal. McCarthy Mor Tower, also known as Ballingskelligs Castle is located along Ballinskelligs Beach. You can park in the parking lot near the beach and walk to the castle. If you are there during high tide, we’ve read that you may have to wade through some water to get over to the tower castle. No need to get back in the car yet. 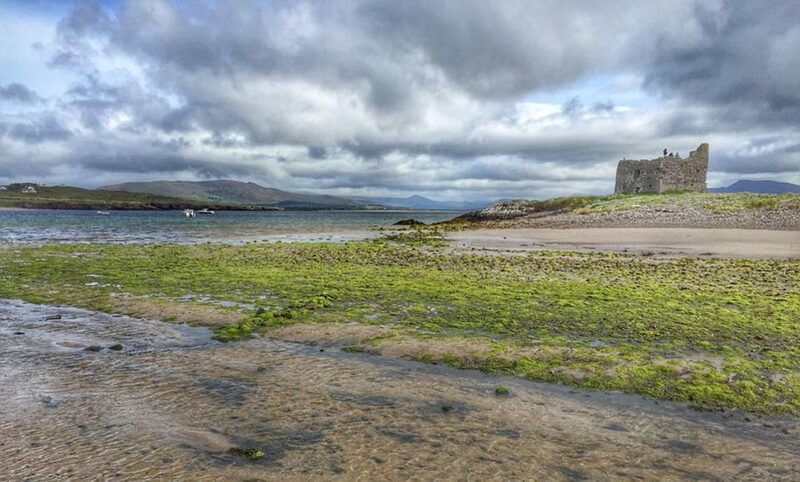 You can walk from Ballinskelligs Beach and Castle to the Abbey, also called Ballinskelligs Augustinian Priory. 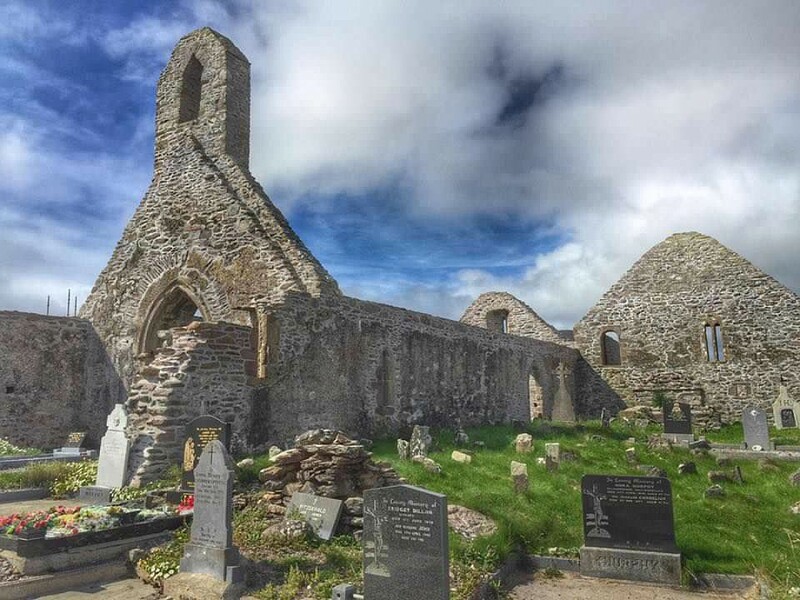 According to the Ballinskelligs Tourism site, the Priory was founded for monks who came to the mainland from Skellig Michael in the 12th Century after attacks by Vikings. 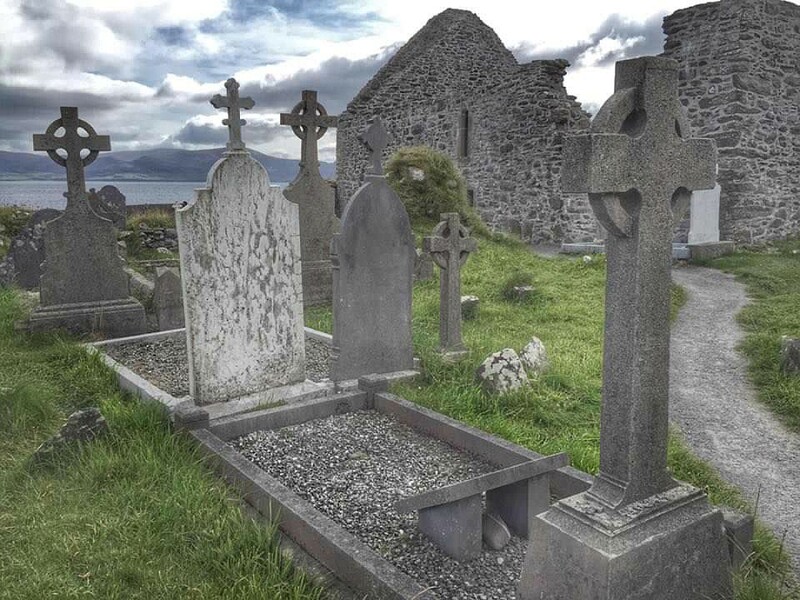 TIP: If you have the time, we heard great things about the Skellig Islands. You can book a boat tour out to Skellig Michael and climb the more than 600 steps to the top. Once there, you’ll be standing in the spot where the final scene was filmed for Star Wars: The Force Awakens. According to the plaque at Loher, this stone fort served as a defended farmstead which would originally have contained houses and farm buildings. 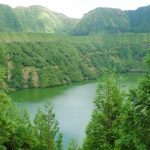 It is a little more difficult to get to, as you will have to wind down some narrow roads to get there. The good news with this is you won’t be competing with any tour buses! There is no way they could get to this spot. TIP: We packed a picnic of sandwiches and ate while sitting on top of the fort. What a magical way to enjoy lunch! Plus, you’ll probably be hungry by this time in the drive! Just make sure not to leave any trash behind – this place is too beautiful for litter! One of the largest stone forts in Ireland, Staigue Fort was probably the home of a wealthy landowner or chieftain who wanted protection, according to the plaque at the site. Like the other stone forts, you’re able to walk around, inside, and on top of the ruin. Be on the lookout for nearby sheep! Sneem was another stop not originally on our itinerary. We pulled over just to take a quick look and ended up stopping for a bite to eat. We didn’t find too much to do in this area, but we were also pretty tired by this point! 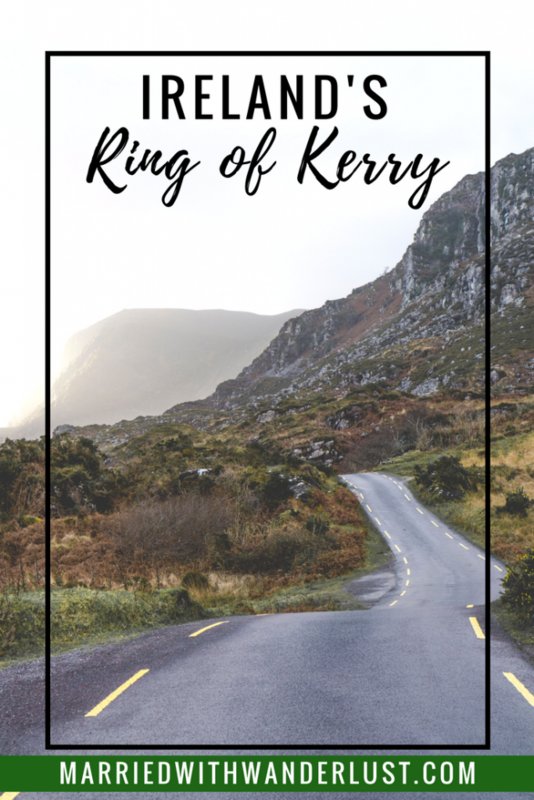 Our Ring of Kerry itinerary wraps up back in Killarney. It will likely be evening, so we’d suggest heading into downtown for dinner and some drinks. You’ll need plenty of energy to spend the next day exploring the beautiful city of Killarney! Oh man! That road trip looks amazing! I have always wanted to go to Ireland, but it just hasn’t worked out. I love the stacked stone construction of those forts/castles. 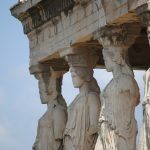 It’s amazing to think about how ancient they are! Great post! Ireland is one of our favorite countries! 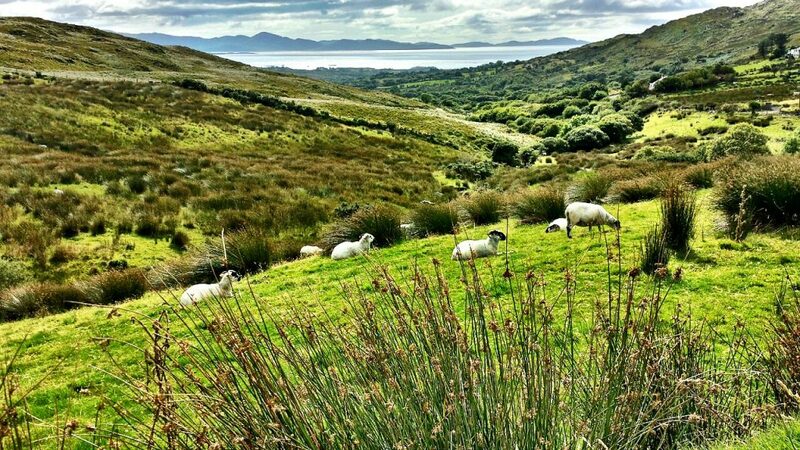 The Ring of Kerry is a must-do. Hope you can get there soon! I love that you’ve perfectly outlined a day trip. All of the sights look amazing, but the highlight for me was the filming location of the final scene of the Force Awakens. 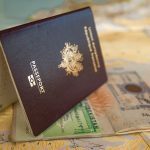 Have you ever considered purchasing a GPS with international maps? We bought one before out Iceland trip and probably saved money compared to the rental cost. We hadn’t thought of purchasing an international GPS but that’s a great idea! Thanks for sharing! 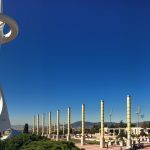 Reading this post brought back many memories from our trip back in….October! 😀 Me and Claire loved the drive around the Ring of Kerry seeing all the amazing places but the Killarney National Park we fell in love with. 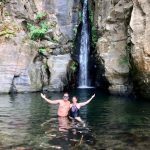 We loved Ladies View and Toch waterfall but for us, finding places to pull over besides the lake and getting amazing views where most tourists wouldn’t go was truly amazing. 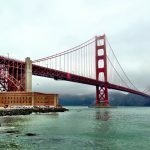 Love your photos on here. That part of Ireland is truly special. I totally agree about going to spots where most tourists don’t go <3 Glad you loved this part of Ireland as much as we did! What’s not to love about this? 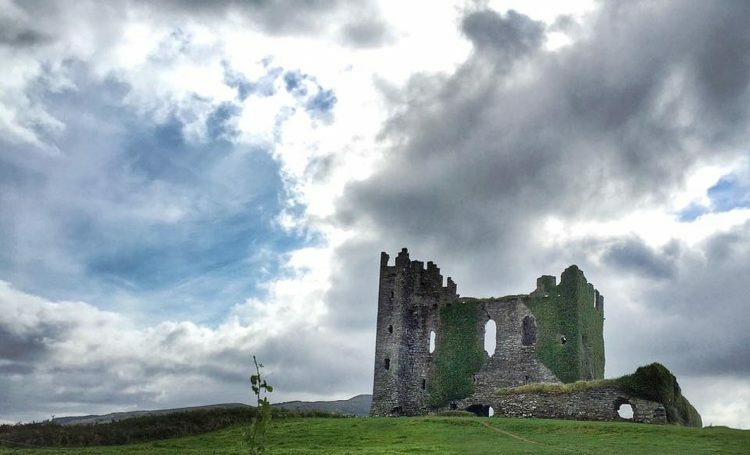 Old ruined castles and amazing landscapes… Ballingskelligs looks wow! I had a road trip in Ireland a few years ago and really loved it, would defintiely go for another one and include this itinerary in my trip! Road trip is the best way to see Ireland! Glad you loved it as much as we did! I love the contrast of the stones and the lush green grass! This looks like a cool adventure – one I wouldn’t typically do, but would be fun to explore! Good call on getting GPS for the rental car! Isn’t that contrast just so beautiful!? I’ve definitely always wanted to go to Ireland! It’s so green! The Skellig islands sound pretty awesome…600 steps though…yikes! The sheep are adorable too. 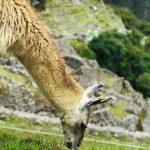 Thanks for a great, comprehensive itinerary! I was just in County Kerry and I agree with your choices. Such a great drive. I spent a handful of days on it, and drove parts of it three times. Most of your choices I visited too, and when I was at Staigue Fort there were cows hanging out all around the entrance. 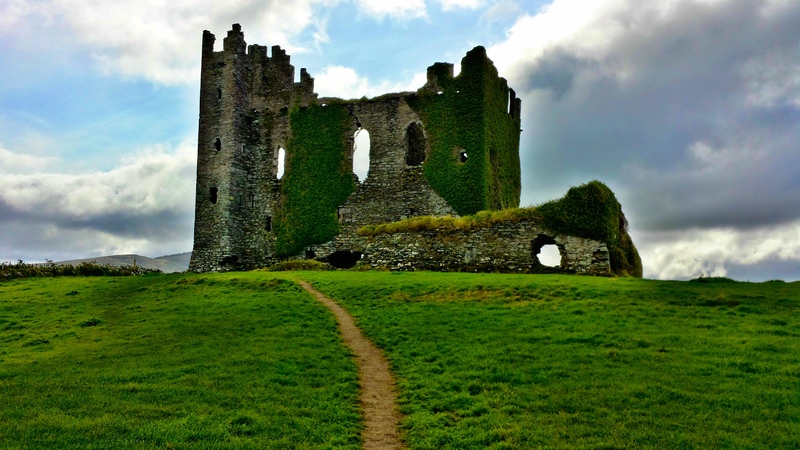 When I go back I’ll have to check out Ballycarbery castle and Cahergall Stone Fort. Lara, How wonderful that you were just there! It’s been a couple years for us and I hope to get back again. This time we’ll follow your lead and stay in County Kerry for longer! I am a Star Wars fan and after seeing the latest movie, I immediately googled where Luke’s island is. It would be amazing to be in Skellig Islands but the mainland itself already offers so many lovely places and great views. So, so perfect! We’re planning our 2018 trips and driving around Ireland is going to be a September or October trip for us. Read through, got inspired, and am saving this for later, because it looks amazing! Ahhh how exciting! You will love it! 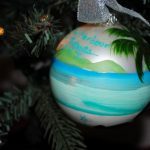 So glad we could provide a little inspiration for your trip. The whole trip was amazing, but the road trip this day is definitely a highlight. My husband and I visited Ireland last July . We’ve decided that next time we go we will spend all of our time in Killarney and touring the Ring of Kerry . It was amazingly beautiful !! Definitely on the itinerary for the next trip! I’ve been to Ireland 3 times, but have yet to visit the Ring of Kerry. Three times to Ireland- you lucky girl! It is such a magical place. But, yes, you DEFINITELY need to visit the ROK on your next trip!! Wow, what a great itinerary, if you don’t mind I would like to copy that and do that same tour. Looks like you had the best weather I only hope we are as lucky. Please feel free to use these suggestions! If you have extra time, we’d suggest also adding in a trip to Valentia Island and the Skellig Michael tour. We wish we could have squeezed those in! I’m planning my drive through the Ring of Kerry now and your post is so helpful!! 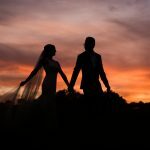 So glad our post helped with your planning- you will just love the ROK! Still one of our favorite days of traveling ever!